Saga is a Canadian rock band, from Oakville, Ontario. Jim Crichton and Welsh-born vocalist Michael Sadler were the principal songwriters, and guitarist Ian Crichton also recorded several solo albums as well as sessions with Asia. Saga has had numerous line-up changes over the years. The Crichton brothers were the only two original members who appeared on every album. Sadler appeared on every release, apart from the 2009 album The Human Condition, in which he was replaced by Rob Moratti. 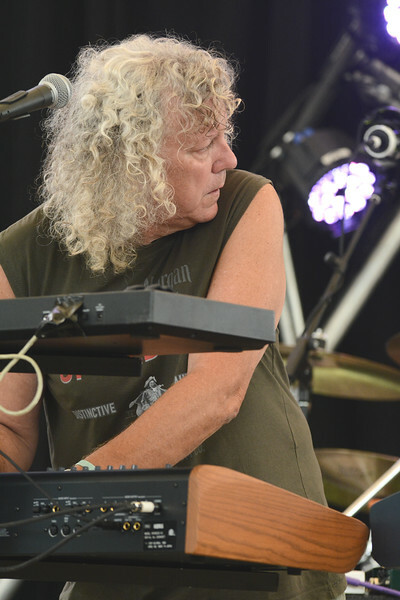 Though not present on the first two albums, keyboardist Jim Gilmour was with the band from 1979, making his debut on the album Silent Knight. He departed in 1986 and returned in 1992. Drummer Steve Negus performed with Saga until 1986, departing that same year with Gilmour and returning in 1992, only to leave the band for good in 2003. His replacement was Brian Doerner from 2005 until 2012, when Mike Thorne replaced him until the band's split in 2018. There were also a number of session musicians and live performers from the late 1980s to the late 2000s. Saga have been awarded gold and platinum albums worldwide and have sold more than 8 million albums.